If you’re searching for commercial space for rent you might be considering moving into a building with an open plan design. While this office design is great in theory you might want to rethink the type of office leasing you’re looking for – open plan offices have a few problems that may affect the workflow of your employees. The theory of an open plan design is sound. The lack of small, enclosed rooms (such as private offices) coupled with a wide, open layout theoretically should encourage workers and managers alike to interact with one another and prompt collaborations. However, a fairly recent study has revealed that workers are doing the exact opposite of collaborating with one another — they’re keeping to themselves more than ever. To conduct the study, researchers used microphones and electronic badges to track email use and the level of interaction among employees. The study revealed that employees had decreased face-to-face interactions by 73%. Instead of interacting with one another employees buried themselves in text messages and emails which both saw an increase of over 67%. What’s the Argument for Open Plan Offices? The concept of open plan office spaces seems like a great idea. Studies show that our social environment contributes significantly to our ability to stay motivated and work that much harder. Furthermore, work environments today are places where “playing well with others” has become more essential than ever. That’s why the idea of an open plan office makes complete sense. The workplaces that have higher interaction amongst employees tend to not only improve work output but also improve job satisfaction, as well. One major influencer of employee productivity, job satisfaction, and improved willingness to collaborate with others is the design of the workplace (theoretically anyway). The entire point of the open plan office concept was to create a wide space that discourages independent work and encourages more social interaction. The open plan office concept was all about creating a sense of community — solo work would be reduced in favor of a group based effort which would (theoretically) improve overall work output. One aspect of productivity that the open plan office design didn’t take into account was the fact that employees require privacy to get work done. Imagine yourself in an open plan office — every movement, every bit of conversation, every individual — all visible to you and serving as distractions from your work. On average it takes about 23 minutes to get back on track after you’ve been distracted. Thus, employees try to make up for these distractions by expending additional mental energy to regain their concentration. As a result, they tend to communicate even less with their coworkers, research shows. During these periods of constant distraction workflow is interrupted, and the employee will likely perform at a lower level than average. Efficiency and productivity will decrease, and mistakes will arise. Focus is the key word here. The failure of open plan offices lies with the fact that employees aren’t able to focus. There are just too many people doing too many things in too dense an area for anyone to truly concentrate on their work. What the cubicle design gets right is that it allows employees to bury themselves within their own little world as they focus on their work, free of distractions. Focused work is the key to productivity. When focus is taken away so is an employee’s ability to stay truly productive. Why aren’t employees making more of an effort to collaborate? Whether intentional or not, open plan offices were designed to increase collaboration and interactivity at the expense of concentration and focus. The problem with this concept is that employees expend emotional and cognitive resources attempting to make up for their lack of focus. As a result, they’re not as willing to collaborate with others. Further research indicates that the combination of lack of privacy along with increased crowding in the workplace often puts workers on the defensive and office relationships are strained as a result. There’s no such thing as a one-size-fits-all for office designs. As individuals, we all view workplaces differently. Where one person may find an open plan office to be the perfect environment for getting collaborative work done another person may see it to be incredibly distracting. Concentration and focus will always be the foundation of productivity. That’s why organizations should attempt to find a workplace solution that not only allows employees to have a certain degree of privacy (which leads to increased focus) but also fosters the need for more interactions amongst employees. 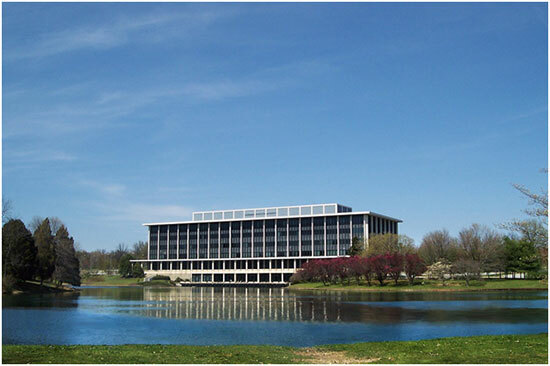 If you happen to be searching for office space for rent in Clifton Park, we can accommodate you. Atrium properties has over 40 years of experience in building and managing office buildings. We always ensure our tenants are paired with the ideal commercial property for rent because we know that if our tenants are successful, we’re successful. Contact us today for more information. There are a variety of ways of calculating commercial office space for rent. 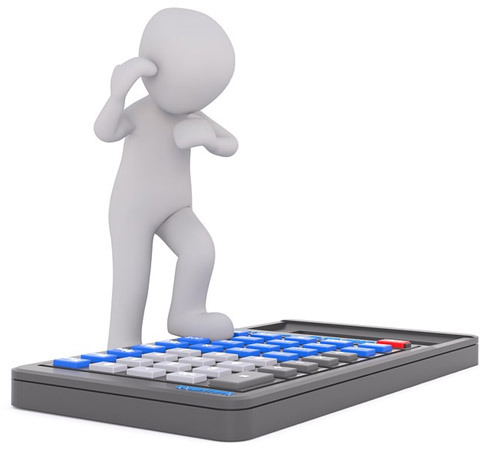 Which calculation you use often comes down to the type of tenant business renting out the space. However other factors to take into consideration include business revenue, the state of the economy and so on. In some cases, a tenant is allowed to pay lower lease payments during periods where they’re expected to make less revenue. This is where the demand cycle comes into play. There will be some months that do better than others due to the ebb and flow of customer demand. It’s up to the tenant and the landlord to work out a lease agreement that will satisfy both parties. What types of rental properties can you find? Sometimes it can be difficult to find a good commercial tenant. Businesses that have experienced success rarely change locations unless they’ve outgrown their current location. However, if a good tenant shows interest in one of your office rentals (emphasis on good tenant), you can potentially enjoy years of steady, dependable rental income. In addition, if the space is located in an area with high foot traffic, your tenant will want to continue leasing the location for a long time. The business world is often uncertain, and there’s no guarantee that moving to a new space will allow them to experience the same level of success as they have in their current rental space. There are various lease types to consider when you have commercial property for rent.In most cases, the lease type is determined by the type of tenant business moving into the office space for rent. Let’s break down each lease type, analyzing how they work and how they’re calculated. Businesses must adhere to demand cycles, meaning they will have their good months and bad months in terms of cash flow. Factors that affect the demand cycle includesthe location of the office space for lease and the economy. If the economy isn’t doing well, for example, there’s a good likelihood that business will slow and cash flow will begin to trend downward for a time. With these factors in mind, landlords and tenants sign a percentage lease in which the landlord determines a minimum base rent (typically an affordable amount the tenant should be able to work with despite demand cycles), and then have the tenant pay a percentage of their retail gross income along with the base rent amount. Percentage leases benefit both the landlord and the tenant because during months where business may be slower, the tenant will be able to pay less and stay afloat. On the other hand the landlord benefits because they will receive more rent when business begins to pick up. It’s a win-win for both parties. With this particular calculation, the tenant will pay an agreed-upon minimum base monthly rent, and then add together the percentage of all gross receipts over a specific base amount. Let’s look at an example. This calculation is a bit different in that you don’t wait to see what your bottom line revenue is going to be for the month before you calculate the percentage. Essentially, rent will be paid on all gross receipts from zero. Let’s look at an example. When calculating usable square feet, understand this is the actual amount of space that the tenant is occupying. Rent per square foot is often used when multiple tenants are sharing the same building. Keep in mind there will be parts of the building that both tenants will use such as lobbies, elevators, hallways, bathrooms and so on. These are called common areas. When it comes to paying rent on the common areas, the number of square feet for these spaces (hallways, elevators, etc.) is typically divided amongst both tenants at a prorated amount. Both tenants will pay a portion of the landlord’s expenses for these shared areas. When you’re doing a calculation for rent per square foot, rent will be set at a base amount per square foot of the commercial space. You can calculate this amount either monthly or annually. Annual example: A 2,000 square foot office space has a rent of $12.00 per square foot. Commercial space rent negotiation can be complicated at times. Business tenants need to know how much they’re spending on operating costs so they know exactly how much they can spend on rent each month while still leaving room for profit. On the other hand, landlords should have their costs of ownership firmly in mind. Therefore, each party should strive to meet at a middle ground where they will both benefit and be happy with the arrangement. If there’s one thing you take away from this article it’s this — never take a lease for granted. 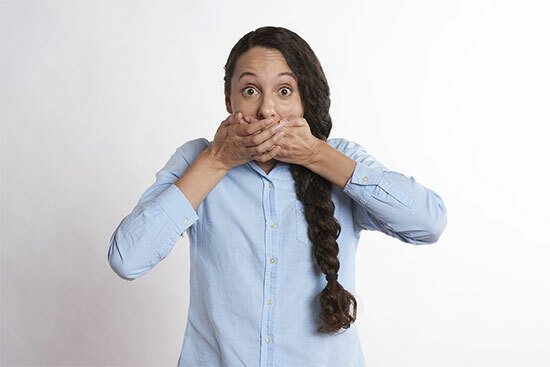 The terms may seem friendly and accommodating up front, but even one misread sentence could lead to years of aggravation and headaches. 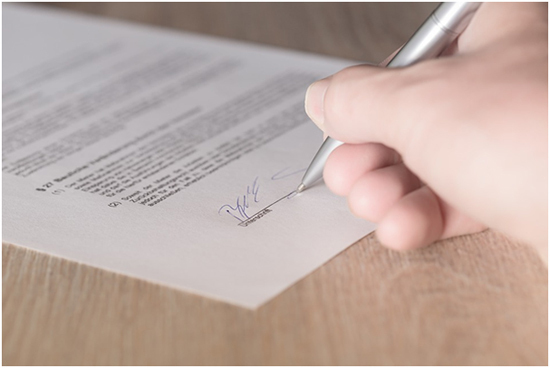 Signing a lease can be one of the most significant contracts a small business owner ever signs. That means you should approach every lease with care. If not, you might end up regretting having signed that dotted line. Let’s take a look at ten questions you should ask before you sign a lease. 1) How much is the rent? When leasing office space, rent is just another part of doing business. But even looking for the cheapest rent that you can possibly find can be challenging. Generally speaking, rent for commercial spaces is determined by the annual cost per square foot of the space. However, there are around five ways to calculate rent that all use square footage as a basis for comparison. With a gross lease, the tenant is required to pay a flat monthly amount. Landlords are responsible for insurance, repairs, taxes, and any other expenses that come with operating out of the building. This is an agreement that requires tenants to pay for some or all of the taxes on a property, in addition to rent. On top of paying taxes and rent, the tenant will also be responsible for paying insurance. These types of leases are usually written for industrial properties. The tenant is not responsible for any of the costs associated with operating out of the building. This includes maintenance and repairs. This is a special type of rental where tenants pay a fixed rate plus a percentage of gross income. Percentage leases apply to retailers, with an emphasis on shopping centers and malls. Let’s say you move into an office space for rent that’s ideally suited for your business. However, a few years into the lease you’ve grown to twice your size and your current facilities are no longer adequate. You can’t leave without breaking your lease, so what do you do? Simply put, you can find a tenant who meets the same standards that the landlord comes to expect from all of his or her other tenants. Thus, subleasing occurs when the tenant rents to a subtenant. As mentioned before, the new tenant must meet the standards of the landlord. Therefore, you must vet the tenant to ensure they meet those standards. Furthermore, if your subtenant decides not to pay, you’re still bound by the original lease to pay the rent. Read the language of your lease carefully. Sometimes the new tenant will pay more than you did for the rent. The question of who gets the extra money might become an issue if you’re not careful. Be upfront with your subleasing privileges from the beginning to avoid issues like this. 3) Who else can move in? It would be a real pain if a manufacturing plant moved directly next door to your law firm. It would be even worse if a competitor moved in. What would happen if your neighbor brought in the wrong type of crowd — the kind that scared away your customers. Zoning laws may be more of a blessing than many of us realize. They protect businesses from moving next door to an incompatible neighbor. If you feel your landlord’s limits aren’t stringent enough regarding who can move in next door to you, then you can negotiate for stricter qualifications. However, this may come at a price. The stricter your limits, the harder it will be to find a new tenant if you decide to sublease. 4) What building service do you get? The cleanliness of your business is essential for public perception. Therefore, you should request that cleaning services be included as part of the lease. Part of this negotiation should include the frequency at which the building is cleaned and whose responsible for the nuances of house-keeping, such as vacuuming, cleaning the bathrooms and taking out the trash. In most cases electricity will be covered by the landlord. However, many landlords set reasonable limits on how much electricity you can use. If you exceed that limit, you may have to pay the difference. When your lease has expired you have two options: move out or renew. Legally speaking, your landlord doesn’t have to offer you the same space once your lease has expired. That’s why it’s important to negotiate this part of the lease early. You should have a clause that guarantees that you have first rights when your lease has run its course. If not, you’ll have to pay the prevailing market rate to keep the space. To renew their lease, a tenant typically has to give written notice. A tenant should submit this notice about one year before the expiration of the lease for long-term leases. Short-term leases are around three or four months. If you don’t want to worry about letting your lease run out accidentally, you can set to renew automatically until you take measures to cancel that arrangement. Automatic renewals are especially beneficial to businesses with multiple branches where it can be challenging to keep track of all of the renewal dates of the separate locations. 6) Who’s responsible for insurance? As leases are finalized, and tenants prepare to move in, insurance is often overlooked. As a result, the commercial property for rent will likely be covered by a variety of insurance agencies that overlap one another. Therefore, the price is more expensive than it has to be. Furthermore, the landlord will run into all sorts of trouble if catastrophe were to strike. For example, let’s say a fire rips through the office space for lease. It may take several years for the various insurance agencies to sort out who pays what or what’s covered vs. what isn’t covered. Generally, landlords have a comprehensive policy on the building to cover liability for common areas such as elevators, stairways, lobbies, bathrooms, etc. They also provide casualty protection for the building itself. With that being said, landlords are well within their rights to insist that the tenant maintain their own insurance to provide protection from being sued by a customer who may injure themselves due to the conduct of the business. 7) How long will the lease run? Generally speaking, commercial leases can run anywhere from 3 to 10 years, and you can negotiate the terms with the landlord. Not only should you determine when the lease should begin but also when it ends. Last minute problems tend to pop up if you haven’t verified if the property is ready for you to move in yet. For example, construction on the building may be taking longer than intended, or you may disagree with the landlord about making your own renovations. You may even run into a situation where the old tenant refuses to move out! With that being said, your lease should tell you what will happen if your rental space isn’t ready to be occupied by the move in date. It should also spell out how the landlord will accommodate your inconvenience. Be careful about moving out of your old premises too early. If you happen to move out of your old space and your new office space isn’t ready for you to move in yet, you might end up in a situation where you have to operate out of your van until you can figure things out. 8) How much will the rent go up? Today, costs can be wildly unpredictable; so much so that many landlords insert escalation clauses in their leases to protect themselves. There are many common types of escalation clauses. One type of escalation clause passes on prorated increases in taxes, maintenance, heat, and other direct costs. Other clauses build in regular step-ups in rent over the life of the lease while others raise rent according to the Consumer Price Index. 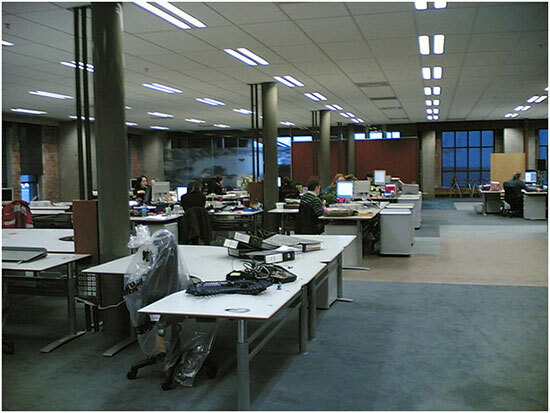 Most modern-day office buildings allow for renovations to be made such as lighting, carpeting, paint, and so on. However, these types of improvements are contingent on what the tenant feels they need to improveand what the landlord will allow. Frankly, improvements are often the most negotiated aspect of any lease. Many tenants and landlords have battled over the issue of improvements to a leased property. The point of contention typically revolves around the high cost of improvements. For example, even minor renovations such as installing a single new electrical outlet can cost as much as $100 to install.. The cost would be much higher if every outlet in the building needed to be replaced. Heavy duty carpeting can be even more costly, running as much as $20 per yard. That certainly adds up if you’re trying to carpet an entire building. If you’re looking to hire carpenters, painters, or any other tradesmen they can charge as much as $15 – $30 an hour for their services. Overall, the costs add up quickly. The best way to convince a landlord to foot the bill for significant improvements to the property is to convince them the renovations will attract future clients even after your lease has run its course. Expect strange requests, such as an unusual paint color and carpeting with weird patterns to be rejected. Such renovations add no value to the property, but this, of course, is dependent on what the landlord allows. All agreements pertaining to improvements should be put down in writing. Ideally, you should also include an estimate of costs from a contractor and detail floor plans before signing the lease. This document is called a “work letter,” and it also states who owns the improvements made to the property. For example, improvements such as shelves, office desks, cabinets and the like will typically belong to the landlord regardless of who pays for it. That’s why specifying who owns the improvements is very important. 10) What happens if your landlord goes broke? This is a worst-case scenario, but it certainly happens from time to time. Let’s say you’ve spent thousands of dollars on renovations to a new office space. All is well for the first few months, but suddenly a representative from the bank shows up and tells you that your five-year lease is void because the bank has foreclosed on the building. They give you the option of staying, but atthree times your original rent. Otherwise, you have thirty days to move out. This kind of stuff happens, so you need to protect yourself the best way you can. You can avoid such a situation with a standard “recognition” or non-disturbance clause. This ensures that the rental agreement between the tenant and the landlord will continue under any circumstances. Non-disturbance clauses were created to protect the client on the chance that the landlord goes bankrupt. As a business, you should know the ins and outs in order to lease commercial real estate. Knowing how to negotiate effectively with a landlord will help you avoid getting ripped off and will also aid you during the negotiation process. In this article, we’ll be breaking down the steps of finding, negotiating, and signing a commercial lease as you search for commercial space for rent. Before you start signing contracts, you should have a general idea of your ideal property parameters. There is a massive range of commercial property for rent out there, thus setting predefined parameters will help you significantly limit your search. You should have an idea of your ideal building size, ideal customer, accessibility, budget, and property type/zoning. Setting and understanding these parameters will ensure you find commercial real estate that’s perfect for your needs. Now we’ll exam each of these parameters in-depth to gain a better understanding of each. No matter what type of business you’re running, one of the most important parameters you should focus on is your ideal customer. Examples of businesses that fall into this category are restaurants and retail stores. Identifying where your ideal customers congregate will help you pick the perfect location to set up shop. Let’s say you run a tire business. Setting up along a major road will put you in the optimal position to become more visible to drivers who are in need of a tire change. When it comes to office leasing, you should search for a location that’s more suitable for your employees. How easy is the location to find? Is there accessible parking? Etc. When you’re on the hunt for office space for rent be mindful of zoning laws. 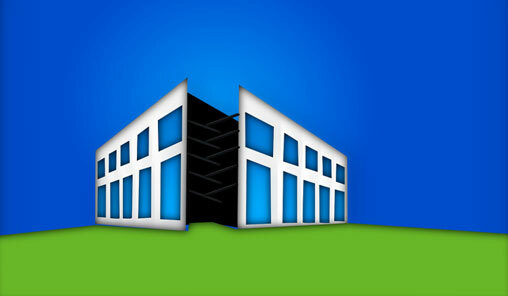 All commercial real estate has been zoned for a specific use. For example, certain commercial buildings have been zoned for retail stores while others have been zoned for use by restaurants. Therefore, if you’re attempting to open a warehouse, you won’t be able to lease a commercial space zoned for a grocery store. It would behoove you to know the type of zoning your business needs. Conduct thorough research on your local zoning laws to stay ahead of the curve. Buildings come in all shapes, sizes, and layouts. The best way to go about determining the size of your desired office space for lease is to calculate either the total number of people you plan to employ or the maximum number of customers that you can accommodate at any given time. Always be aware of your maximum budget. Recognizing your limitations will allow you to avoid wasting your time searching for offices for rent that don’t fall within your budget. Typically, your maximum budget is determined by the size of your business as well as its performance. Easy accessibility is essential for every business. Let’s say you run a restaurant. Do you have adequate seating for your customers? Do you have sufficient parking? Do you have a ramp for disabled individuals? Are you located in an area with ample vehicle and foot traffic? 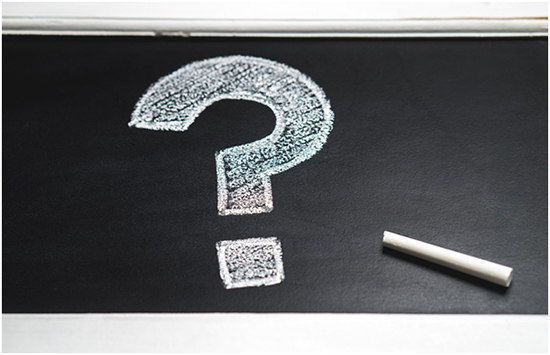 Answering these questions will give you a general idea of how truly accessible your commercial space is. When it comes offices for lease, the most common type of commercial lease is a full-service lease. With a full-service lease, the rent is all-inclusive. This means the landlord takes care of all property related expenses. Such expenses include insurance, repairs, utilities, janitorial services, and property taxes. Full-service leases are easily the best deal for the tenant because all costs are upfront. Therefore the tenant can forecast monthly expenses without the fear of hidden fees upsetting their budget. With a net lease agreement, the tenant pays a lower annual rent when compared with a full-service lease. As a result, the landlord can also charge what are considered to be “usual costs.” These include common area maintenance items (CAMS), property insurance, and property taxes. There are three types of net leases: single, double, or triple net lease. With a single net lease, the tenant pays a pro-rata share of the building’s property taxes on top of the rent. With a double net lease, the tenant must add on property insurance in addition to the property taxes and rent. With a triple net lease, the most landlord-friendly lease, the tenant must pay property insurance, property taxes, and CAMS. The primary advantage of a net lease is the fact that the rent is cheaper overall. However, the tenant takes on the responsibility of covering the maintenance fees of the property. In most cases, these fees will be added to the rent on a monthly basis. If you’re not interested in either a full-service lease or a net lease, you can meet in the middle with a modified gross lease. With a modified gross lease, tenants pay for CAMS, property insurance and property taxes. What makes the modified gross lease so unique is these expenses are paid along with the rent in one lump sum. The primary advantage of a modified gross lease is that the price is fixed and you won’t have to contend with any hidden fees. Even if certain expenses increase (such as CAMS or insurance), your rent will always remain the same. Also, when you sign a modified gross lease, the landlord covers the janitorial and utility costs. There are a variety of factors you need to keep in mind when you’re searching for the right type of commercial property. Anchor tenants – sometimes commercial properties that have multiple units will have an anchor tenant. The perfect example of an anchor tenant would be a dental office located within a shopping complex. Find out about any possible anchor tenants before signing a lease, because the landlord might be able to back out from the other leases associated with the property if the anchor tenant leaves. Location – ensure you’re in a commercial space that either accommodates your employees or your customers. History of the landlord – knowing the history of your landlord will give you an idea of what to expect during your interactions with one another. Often times commercial space lease agreements span multiple years, so it’s best to know as much about the landlord as possible. Amenities and services – what type of amenities and services does the commercial space offer? Examples include utilities, dining options, Wi-Fi, loading bays, outdoor space, etc. When you’re searching for a commercial space, you should always look for multiple locations. That way, you’ll have more options when you enter the negotiation phase. On average, you should identify at least 4 -10 commercial spaces. This will give you a ratio of the average price that you should come to expect of the commercial real estate in a specific area. A great idea is to identify around 8 – 10 commercial spaces that fit your criteria and then limit that number down to 4 -5 picks. Once you’ve done that you should do a physical walkthrough of those locations to narrow your choices even further. 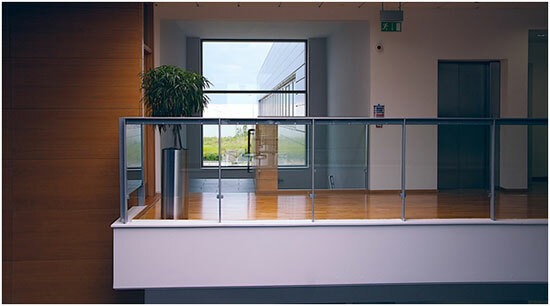 In the commercial real estate business, physical tours of a property are customarily referred to as “technical property reviews.” It’s highly recommended that you walk the property with an experienced contractor because the property may need what’s known as a lease buildout –improvements and additions that are required to be added to the commercial space. Lease buildouts can be essential to the negotiation process because you may be able to get the landlord to either fully or partially cover the expense of any repairs or additions. It all comes down to negotiating the lease buildout into your lease once you’ve entered the negotiation phase. Of course, that leads us into one of the most critical aspects of this guide — negotiating the terms of your commercial lease. When you have located the commercial space that fits your criteria, it’s now time to move on to the negotiation phase. Formally, you should request the terms of the lease in writing. This information will be communicated to the broker of the landlord. Next will come your business letter of intent (LOI) which states your offer or counteroffer. You can use your LOI to communicate to the landlord why you’re the best choice for a particular piece of property. You should make your LOI as convincing as possible because it’ll make you more attractive to the landlord, especially when you’re competing for a commercial property that’s especially competitive. Rent abatement – the tenant will either not have to pay rent or pay a reduced price if there is any damage to the commercial property until the damage has been fixed. Length of lease – on average a commercial lease can range anywhere from 3 to 10 years. Businesses will often find shorter leases are advantageous because it lessens future financial burdens which allows for great flexibility. Capital expenditures – this term makes reference to the party who’s responsible for specific expenses such as maintenance and repairs amongst other costs associated with the building. Lease build-out credits – a representation of the tenant’s ability to conduct leasehold improvements in their rental property which will then be charged to the landlord. The only improvements that fall under this category are the ones that are required for the business to operate successfully. To cover the cost, the landlord will either pay out of pocket, reduce the rent, or reimburse the tenant. Deposit – the vast majority of leases require a deposit. Deposits are typically fully refundable and serve to protect the landlord from a tenant who does not pay their rent or from those who cause significant damage to the commercial space. 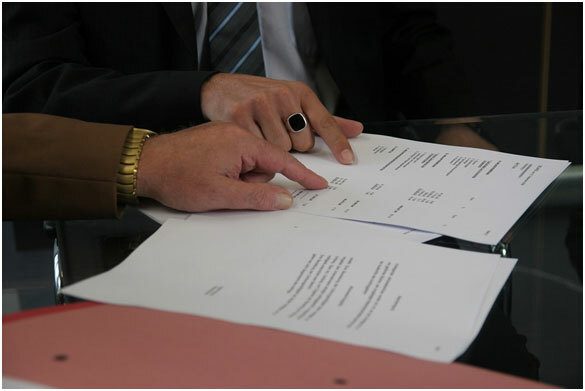 Termination clause – this is a clause in the lease that allows either the tenant or the landlord to terminate the lease under specific conditions. Termination clauses are both good and bad because they allow the tenant to terminate a lease when needed, but the landlord can easily do the same. Use clause – this is a clause that defines the type of business that can use a particular commercial space. For example, you can only open a restaurant in a space that has been zoned for restaurants. There are many terms for commercial leases. Do your homework and know what terms are available to you so that you can identify all of your options. When it comes to leasing a commercial space, there are a great many factors you have to keep in mind. Ultimately, commercial leases can work to your advantage if you know what factors to look for. Do your homework. The more prepared you are, the more likely you’ll end up with a good deal that will benefit your business for the long-term. It can be exciting when you’re on the hunt for new office space. However, jumping in without a plan is often fraught with danger. In fact, it’s all too common for small businesses to make mistakes while leasing office space. Owners get overly excited and make crucial mistakes that can prove costly for the business. Some errors could even slow the growth of the company itself. Often, rent is the second highest expense that businesses have to deal with. Therefore, doing things right the first time can potentially save you untold amounts of money down the line. 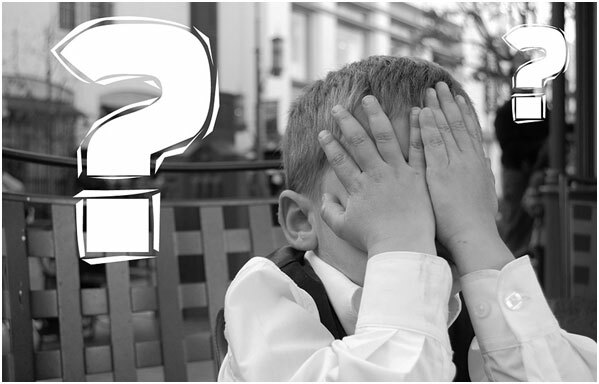 Let’s look at 5 mistakes that small businesses make when leasing office space so that you can learn what not to do the next time you find yourself in the market. We’re all familiar with procrastination. It’s that thing we do when we put off important work. Procrastinators often have the “I’ll just do it tomorrow” attitude. The problem with that type of thinking is that tomorrow typically never comes until it’s too late. Procrastination can be the kiss of death for a small business owners hunting for office spaces. Generally, you should begin searching for an office space at least six months in advance before moving out of your current space. Looking this far in advance gives you time to check out prices, the surrounding area, and just get a general feel for how the market is. Searching last minute may put you in a position where you might have to settle. Whether you’re settling with a building that’s too small, too big, disagreeable rent, a bad area or any number of factors, you will always be at a disadvantage. So do yourself a favor and search early. You may potentially save yourself thousands of dollars. Most of the time, Google is your best friend. In this instance, it might just work against you. The temptation to find office listings through a Google search can be tantalizing, and while it can give you a general snapshot of the market in a particular area, you might just be led astray if you’re not careful. Sometimes, online listings can be inaccurate. Plus, it’s in the landlord’s best interest to get a business owner down to the property as fast as they can where they’ll have a leasing agent ready to make the big sale. Oh, and the sale has to happen today, or the “exclusive” deal will go away. This puts pressure on the business owner which may cause them to make a purchase without truly understanding what they’re getting in to. You’re a business owner; therefore you have a good sense of how to negotiate fair deals and whatnot. Right? That type of thinking can leave a business owner with a potentially bad buy. Leases can be very complex in the way they’re worded, and they can often change depending on the type and size of the space. Also, it’s generally advised that you should never sign a lease for a space larger than 2000 square feet without a trained professional at your side, poring over each line of the contract with you. There are just too many variables to a tenant lease for someone who isn’t trained to try to go it alone. Bring a good tenant broker with you. There can be hundreds if not thousands of small variables that may fly under your radar. However, a trained tenant broker might be able to catch most of the things that you miss. Tenant brokers represent your best interests. The best trained tenant brokers will take care of all of the legal complexities that go with signing a contract and will get you the best deals with the fairest lease terms. With all of the hidden information that can be found in leases, you should never take a chance. Often, a tenant broker can save their client up to 25% of the total value of the lease. Sadly, many business owners take a chance and go in blind and end up getting burned on certain aspects of the contract (such as rent). If they had just done even a small bit of research, they might have been able to negotiate a better deal. All business owners should have a general understanding of how they should go about leasing a commercial space before they even start looking. They don’t have to be experts, but they should know just enough to be dangerous. Going into a deal with as much knowledge as you can is a good way not to get ripped off. Understand your advantages, identify pitfalls and recognize your rights as a tenant before getting into a contract. Signing the dotted line on a lease you don’t understand could have disastrous consequences for any small business. Remember, renting an office space is a major decision for a small business. Not only does it take a toll on finances, but it can also affect factors such as growth. Thus, detaching yourself from your emotions is vital to help you make the most informed decision that you can possibly make. Can you afford the rent? Do you plan on growing? How much space do you need? Do you need a parking lot? Etc. Lastly, do your best not to be seduced by a real estate agent because it’s their job to close you right then and there. Leave the emotions at the door. One of the most significant investments that a small business can make is leasing office space. Performing your due diligence will make you an informed consumer which will allow you to understand all of your options. Furthermore, there’s no shame in bringing a professional with you if you’re not sure how the process entirely works. There’s too much at stake to make dire mistakes. Get it right the first time so that you won’t regret it later on down the line. Finding a commercial space for rent can be a time consuming and arduous process. When negotiating a commercial real estate lease, you’re initiating a rental agreement that allows for a business (yourself or someone who represents your interests) to rent commercial space from a landlord (such as an office building). Generally speaking, commercial leases come in three forms: modified gross leases, full-service leases, and net leases. If you’re ill-advised or simply don’t know what you’re doing, you will be at a severe disadvantage when searching for a commercial space with decent rent. This guide is designed to help you navigate through this process. With a clear understanding of these specific elements, you will be well prepared to rent a commercial property. As already mentioned, there are three types of commercial leases. The only discernible difference between each type of lease is how costs and fees are evaluated. If you’re searching for an office building for rent, you’ll likely be signing a full-service lease. Full-service leases have a number of benefits. One of which is the benefit of all-inclusive rent. That means that the landlord is solely responsible for paying all expenses associated with the property. This includes maintenance and repairs, utilities, janitorial services, insurance, and taxes. If you’re a tenant, this is the best type of lease that you can get. You don’t have to worry about hidden fees, and it’s quite simple for businesses to predict their annual expenses. If you’re interested in office leasing, this may be the lease for you. When a tenant engages in a net lease, the landlord will charge a lower annual rent (especially when compared to a full-service lease). In this case, the landlord can also add on other costs such as property insurance, property taxes, and common area maintenance items (CAMS). If the full-service lease or the net lease doesn’t quite work for you, the modified gross lease serves as a compromise between the two. With the modified gross lease, the tenant may agree to pay a portion of the property insurance, property tax, and CAMS. However, the payment is taken as a lump sum along with the rent. Anchor tenants – anchor tenants are typically associated with multi-unit commercial properties. The best example of an anchor tenant would be businesses anchored to shopping centers and malls. If you find yourself in such a situation, do your research. Your landlord might be able to back out legally of the property’s other leases if one of the anchor tenants leave. Location – when choosing your commercial property it’s all about location. Make sure that your property is located near your ideal customer base and/or workforce. You’ll also want to consider other factors such as foot traffic and vehicle traffic as well as adequate parking. History of the landlord – this is an important one because commercial leases tend to run for more than one year. If you’re going to sign a multi-year contract, you’ll want to know of the history of your landlord. Sites like ReviewMyLandlord should help you gain a better understanding of who your landlord will be. 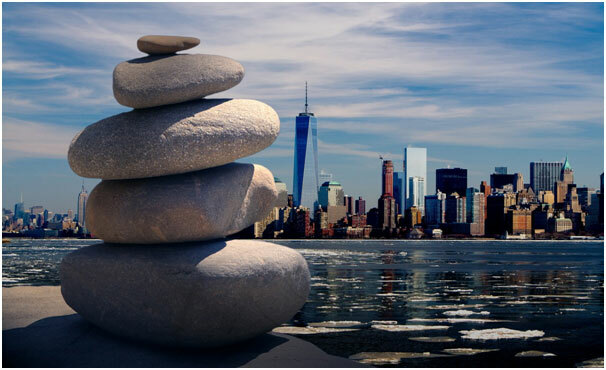 Amenities and services – before you sign any contract, you should learn about all of the amenities and services offered by the office space that you seek. Amenities and services can include free WiFi, communal rooms, dining options, sewage and utilities, on-site security, and much more. The first part of the process is researching your commercial space of interest. Let’s say you find an office space for rent that you happen to like; the next part is making a choice and negotiating a lease. When entering into the negotiation process, you should begin things by requesting all terms in writing. You should especially do this if the commercial space is in high demand. 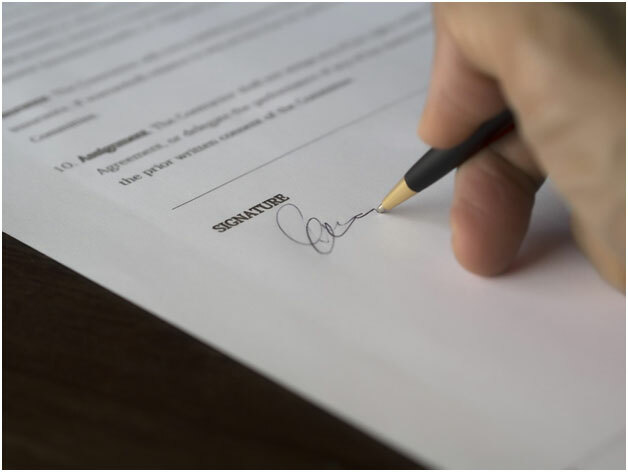 When setting your terms, they can either be the same that was offered by the landlord’s broker or a counter-offer proposed by you or your broker. Terms will include the type of lease, the rental price, and more. Understand that you can counter any lease term at any time. Depreciate the building – the annual depreciation of the building can be claimed on your tax returns. Increase cash flow – in most cases, commercial spaces require the owner to occupy at least 51% of the building. The remaining space can be rented out, and the owner can receive the rental income. Build equity – you can use this equity as collateral for additional expansions. There are also benefits to leasing a commercial property as well. For one, tenants are able to avoid down payments. In place of a down payment, leasers pay a refundable deposit equal to 3-6 months’ rent. Furthermore, lease payments can be deducted, thus reducing the tax burden on a business. If you’re interested in these particular benefits, finding offices for lease may be your best option. Ultimately, commercial real estate leases are a long-term rental agreement that exists between a landlord and a business. As you search for various commercial spaces, such as office rentals, you should always do your homework. Understand the differences between the various lease types (full service lease, net lease, and modified gross lease). Set your property parameters and once you settle upon a property, attempt to negotiate favorable lease terms. Renting a commercial space can be a difficult process, but with the right amount of research you will be prepared to face any situation that may arise. What’s the difference in the Types of Commercial Real Estate Leases? Matching a landlord and tenant in the commercial real estate process can be difficult unless you have a lease type that benefits them both. Both parties have their own priorities. The tenant, for example, wants to negotiate the best deal they can on rent. The landlord, on the other hand, is interested in the income from rent and maintaining the control of expenses. Due to the needs of both parties involved it’s important that you use the right type of lease when bringing an offer to the negotiating table. Commercial leases have a tendency to to be more complicated because there are many considerations to take into account.In direct contrast, residential leases tend to be less complicated. The tenant handles their rent and utilities (minus sewer) and the landlord handles all other expenses. Manufacturing businesses – a manufacturing business such as a heavy machinery shop or an automotive shop tend to dip heavily into utility costs. Also, due to the nature of these businesses, there is natural wear and tear on the commercial property for rent. More than likely constant repairs will be an issue. Landlords tend to use triple net leases in situations such as these, though modified net leases can also be utilized. Retail businesses – many retail business owners have to deal with sales shifts throughout the year due to multiple factors. For example, a store may not make nearly as much during the summer as they would during winter due to the Christmas season. Because of these factors, tenants have a preference for low lease payments during the times of year that they have slower business and switch to higher payments during high cash flow months. This is known as a percentage lease. Offices With Consistent Clients – many consultants, accountants, and attorneys use the gross leasebecause they’re typically interested in only paying a fixed amount every month, much like a residential lease. On top of the fixed amount, they may have to pay utilities. All other expenses fall upon the landlord. It’s advised that when you’re negotiating the terms of a gross lease, you inquire into the kinds of janitorial services provided and the frequency of such services. Keep in mind that all excess utility consumption, beyond the regular use of the business, might fall back to the tenant. The tenant covers their own taxes and insurance. Smaller companies can benefit from this type of lease because it allows them to predict future expenses and focus on the business itself. Single Net Lease (N Lease) – the tenant covers the base rent as well as a pro-rata share of the property taxes associated with the building. This means that the tenant must also tack on an expense for the proportion of total building space of the building they are leasing. The tenant must also cover janitorial services and utilities. 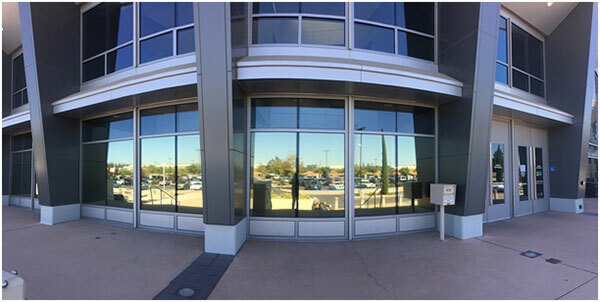 Double Net Lease (NN Lease) – the tenant includes the base rent as well as a pro-rata share of the property taxes associated with the building. They must also cover property insurance. It falls upon the landlord to cover common area maintenance. It’s still the responsibility of the tenant to cover the utilities and janitorial services. The Triple net lease is the most popular of all the net lease types for retail spaces, such as office rentals, and commercial freestanding buildings. The tenant still covers janitorial services, insurance, taxes, and utilities. This kind of lease is more landlord friendly. Absolute Triple Net Lease -You can think of this lease as a far stricter version of the NNN lease. The tenant carries all risk associated with the office space for rent. They cover all expenses following a catastrophe and must pay even if the building has been condemned. This lease is fondly referred to as the “hell-or-high-water lease”. Modified Gross Lease – the modified gross lease is both a tenant and landlord friendly agreement. In this kind of lease, the rent is requested in a single lump sum. This can include all of the previously covered nets, insurance, CAMS, and property taxes. The tenant and landlord can negotiate which “net” is included in the base rent. If you’re out hunting for an office space for lease, or any other kind of commercial building, you want to make sure that you know all of your lease options. Depending on your situation, some lease types may be detrimental as opposed to others that can help you to grow due to the current financial position of your business. Remember to read your lease very carefully and ask questions of anything that you don’t understand. An office that is aligned with feng shui principles is an office that inspires productivity and power. Whether you lease a commercial property or looking for ways to spruce up your office, here are six ways to create a feng shui office space. When you start searching for office space for lease, notice if any clutter has been left behind by the previous tenant. If so, clear out the clutter. 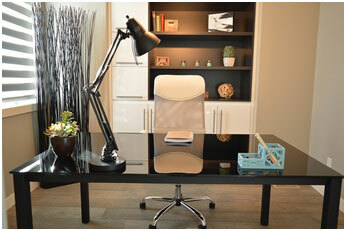 It is important to establish a workstyle to help maintain an organized workspace. Everything that you use on a daily basis should be kept within arms’ reach so that you don’t have to get up from your desk. Deal with paperwork at least weekly to avoid feeling overwhelmed when you have to deal with bills, filing, and other tasks. An office that is laid out according to feng shui principles should ensure that you are seated in a power position. When you sit at your desk, you should be able to see the door and as much of the office as possible. Take this into account when looking for offices for rent. Keep in mind that, according to feng shui, the person who is seated farthest from the entrance is thought to have the most power. Those who sit with their back to the entrance will suffer backstabbing and succumb to office politics. Avoid sitting face to face. This creates conflict. If the office space necessitates people sitting back to back or face to face, the desks should be staggered. Small barriers can also be created with photos, plants, and even room dividers. Some workspaces necessitate an open-plan environment. Sharp edges of desks create poison arrows which contribute to discomfort, dis-ease, and irritability. Plants and pictures can be used to soften the edges. In an open office, ensure the aisles are wide enough to allow positive energy to flow through. Subtle colors also help, since vivid shades are too active in a busy space. When office workers are surrounded by objects and images that inspire them, it helps to create living affirmations of their goals. An office is the ideal template to create a space for what you desire in your life and career, and the things you choose to put in your space should reflect what it is you want to achieve. This is similar to the concept of environmental psychology. Infusing the office with your personality will foster personal growth. Carl Jung’s numinosity theory cites that every item in the office will have an influence on you, so it should be an uplifting and positive effect. These represent the natural elements of metal, earth, fire, water, and wood. All five elements should be present in the environment and they should be balanced. This makes for a more balanced person who has a greater chance of manifesting their wishes. For example, if you work in an overly bright office – considered the fire element – with too many light and shades such as metal cabinets, computers, and desks (the metal element), you need to concentrate on bringing the other three elements in. For instance, you could bring in earthy colors to create the earth element, a few plants to create the wood element, and a fish tank to create the water element. This represents the masculine and feminine energies. You should strive to strike a balance between the two to create a nourishing energy. For instance, if you work in an overly masculine office environment with light colors, high ceilings, an abundance of natural light, and angular furnishings, you need to balance it with feminine energy, such as soft furniture, curved and flowing shapes, and window coverings. Whichever method you decide to use does not matter. What counts is that the space is harmonious and balances. A bagua map is an ancient feng shui instrument aimed at helping you to bring in good energy. When you apply the map to an area, each section will align with different aspirations. The colors will give you an idea of how to break up the space and determine which parts of the office are more important and need more attention. Earth tones and browns tend to stabilize and ground a work environment, but they will not stimulate the mind. However, adding white to the overall color scheme helps to increase mental focus and clarity. Offices can keep employee’s irritability and stress to a minimum by selecting furniture that has rounded corners, or at least placing sharp corners out of the way of foot traffic. It is also a good idea to avoid too much glare or harsh indoor lighting that can lead to fatigue and irritation. Adding running water in the form of a fountain or water feature, soft music, and even essential oils can keep worker’s stress levels down. Are You Looking for Office Rentals? If your current commercial or office space is no longer conducive to the success of your business, it may be time to find a new space that you can apply the above principles to. Contact us to help you find your next workspace.